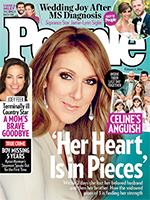 After a year hiatus from the stage, Celine made her momentous return to The Colosseum at Caesars Palace on August 27, 2015 with an updated residency show that is being embraced by fans and media and receiving rave reviews. Celine is the second residency show by Canadian recording artist Celine Dion. 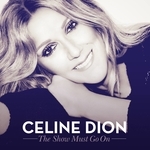 The show is performed at The Colosseum at Caesars Palace in Las Vegas, Nevada beginning 15 March 2011, with an estimated 70 performances per year (which makes Celine the top money earner in Vegas, earning $500K a show). "Encore un soir" (meaning "One More Night") is a song recorded by Canadian singer Celine Dion, released as the lead single from her upcoming French-language album, set to release in Fall 2016. 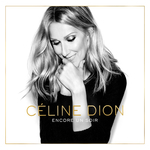 Encore un soir is a French-language studio album by Canadian singer Celine Dion, released by Columbia Records on 26 August 2016. It is her first French studio album since 2012's Sans attendre. 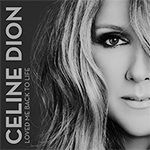 Loved Me Back to Life is the eleventh English-language studio album by Canadian singer Celine Dion, released by Sony Music Entertainment on 1 November 2013. It was preceded by the lead single and title track, "Loved Me Back to Life," which was released on 3 September 2013. Sans attendre (meaning Without Waiting) is a French-language studio album by Canadian singer Celine Dion, released by Columbia Records on November 2, 2012. It is her first new French studio album since 2007's D'elles. 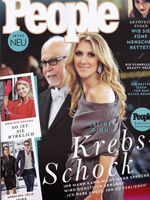 Celine-Dion.Org is an unofficial fan site dedicated to five-time Grammy winner Celine Dion. Our sole purpose is to provide YOU with updates on the singer. We are a non-profit site so all materials (photos,videos,etc) respectfully belong to the rightful owners. Unless stated of course. No copyright infringement is EVER intended. While in Paris over the two weeks Celine took time to film a commercial for L’Oréal Paris. Check out some photos!